ΚΑΙ ΓΙΑ ΣΗΜΕΡΑ ΕΧΟΥΜΕ ΕΝΑΡΞΕΙ 2 ΣΕΙΡΩΝ!!!! Η καλυτερη νεα κωμικη - δραματικη Αγγλικη σειρα για φετος!!! με πολυ ακαταληλο λεξιλογιο... ομως!!! ΜΕ ΤΟΝ ΓΝΩΣΤΟ ΠΛΕΩΝ Zach Galifianakis!!! ΚΑΘΕ SEASON ΕΧΕΙ 8 ΕΠΕΙΣΟΔΕΙΑ 30 ΛΕΠΤΩΝ. where fairy tales and the modern-day are about to collide. At the year’s D23 convention one of my highlights was being able to watch the pilot for the new ABC series Once Upon A Time. It’s an ambitious blending of classic fairytale characters who have been transported to our current world and held captive. Ever since this project was announced I’ve been really hoping that it does well and does not evoke that other ABC series with the same premise, notable The Charmings… Okay, I admit it, I loved the Charmings, but this current show is not a comedy, but instead a fairytale drama. We start the pilot off by seeing Ginnifer Goodwin, who let’s face it was born to play Snow White, and Prince Charming about to get married. When the Evil Queen bursts through the door and declares that a curse will be put on the entire village. No one will remember who they are, and they will be trapped in a world without happy endings. Even though Prince Charming assures her all will be well, Snow White still fears for the worst. So, she decides to visit Rumpelstiltskin who tells her that the curse can only be lifted by her unborn child. So, Geppetto finds an enchanted log and starts to make a cabinet for Snow White to escape in, because her child holds the key to breaking the curse. However, that darn kid wants out, so after her birth the baby gets saved and placed into the cabinet. Doh! While the pilot was good, I wasn’t blown away, but there is just loads of potential here… Ginnifer Goodwin is amazing as Snow White and I really liked Jennifer Morrison as Emma Swan as well. She is the key to holding the show together so she better be up to snuff… Robert Carlyle is deliciously evil as Mr. Gold/Rumpelstiltskin as well.. The production value is top notch, although there is some obvious CGI work in the fairytale sequences. However the castle, and costumes are really nice. Plus, both worlds really blend well together. I’m hoping this one sticks around and gets enough ratings to at least be allowed to stretch it’s legs a little. I’m definitely going to be turning in to episode two of this series to see what happens, and to see how it progresses… I’m still crossing my fingers this one might have some legs! 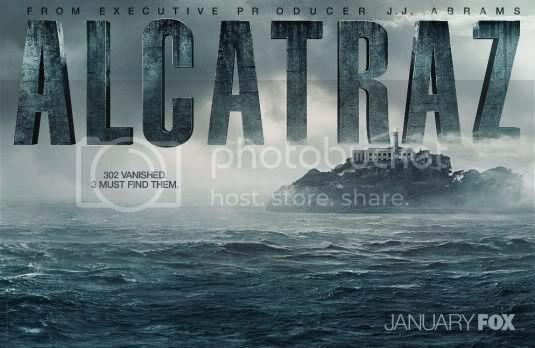 Years after every prisoner on Alcatraz mysteriously vanished, FBI Agent Emerson Hauser and Detective Rebecca Madsen are drawn into the case of Jack Sylvane, who is on a killing spree. 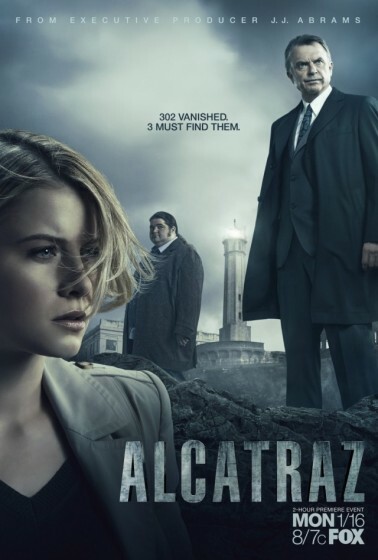 They later find out that Sylvane was in fact one of the inmates on the prison, and joined by Alcatraz expert "Doc" Soto, Hauser and Madsen race to stop Sylvane and solve the mystery of Alcatraz. When Detective Rebecca Madsen is assigned to a grisly homicide case, a fingerprint leads her to a shocking suspect: Jack Sylvane, a former Alcatraz inmate who died decades ago. With her investigation impeded by government agent Emerson Hauser, Madsen teams up with Alcatraz expert and comic book enthusiast Dr. Diego Soto. They both soon discover that Sylvane is not only alive, but he’s loose on the streets of San Francisco, leaving bodies in his wake, and does not appear to age. With the inclusion of Agent Hauser, they realize that Sylvane is only a small part of a much larger, more sinister present-day threat. For while he may be the first, it quickly becomes clear that Sylvane won’t be the last prisoner to reappear from Alcatraz.